I spent the day pacing up and down wondering how the bowl was going to turn out …. The kiln took forever to do its thing and I was convinced it was all going to have gone wrong … I eventually plucked up the courage to crack open the kiln to peep inside and saw this! Blimming stunning. 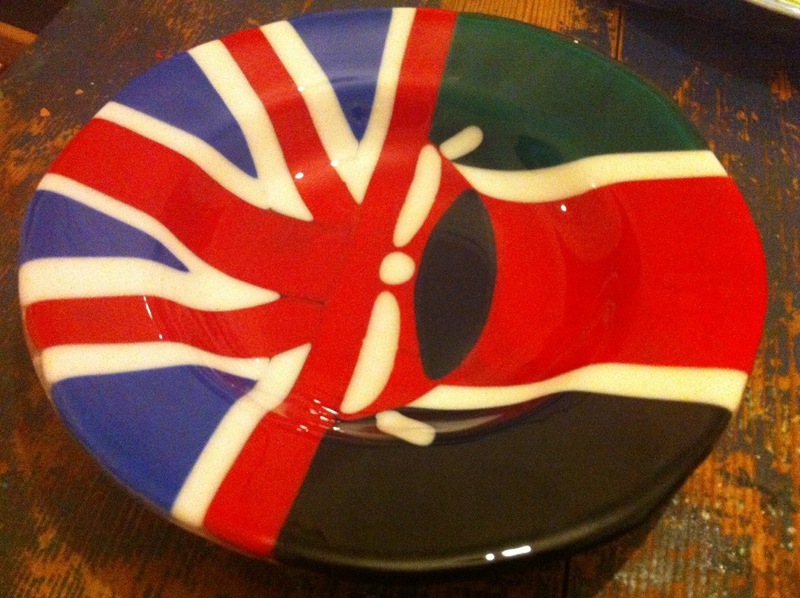 Really love the fusion of the whole ‘Union Jack’ theme and that of the Kenyan flag – it has a narrative quality to it which makes me think this is an important, groundbreaking, piece. Well done. « A Dishy Little Number!